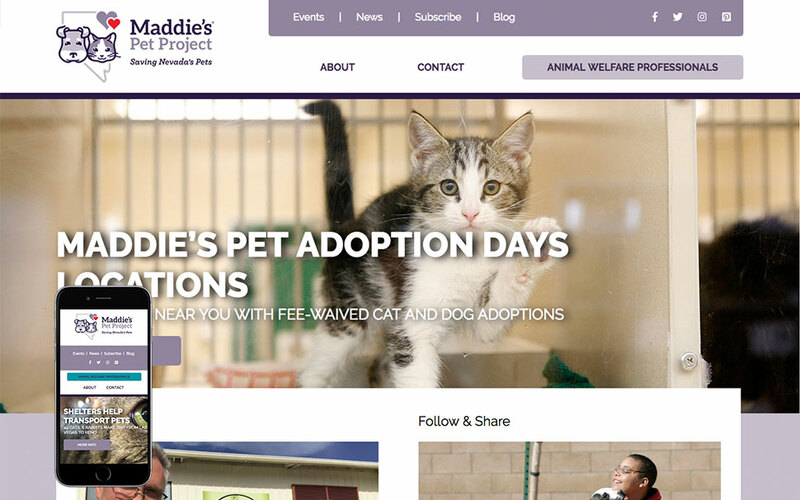 Maddie's® Pet Project in Nevada creates a safety net for cats and dogs in Nevada through partnerships that increase adoptions from animal shelters and improve access to veterinary care in underserved areas. We also seek to cultivate animal sheltering leadership by encouraging new leaders and supporting existing ones. See what we designed for them!